The Night of the Long Knives or "Operation Hummingbird", was a purge that took place in Nazi Germany between June 30 and July 2, 1934, when the Nazi regime carried out a series of political executions, most of those killed being members of the Sturmabteilung (SA), the paramilitary Brownshirts. Adolf Hitler moved against the SA and its leader, Ernst Röhm, because he saw the independence of the SA and the penchant of its members for street violence as a direct threat to his power. 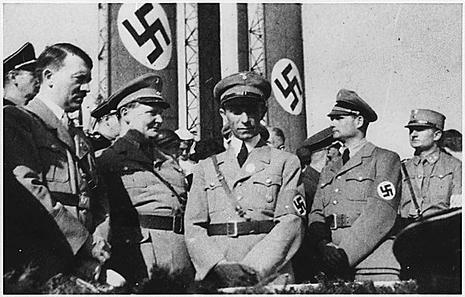 Hitler also wanted to conciliate leaders of the Reichswehr, the official German military. They both feared and despised the SA and in particular feared Röhm's ambition to absorb the Reichswehr into the SA under his own leadership. 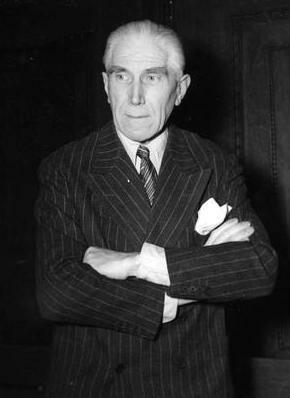 Finally, Hitler used the purge to attack or eliminate critics of his regime, especially those loyal to Vice-Chancellor Franz von Papen, and to settle scores with old enemies. At least 85 people died during the purge, although the final death toll may have been in the hundreds, and more than a thousand perceived opponents were arrested. Most of the killings were carried out by the Schutzstaffel (SS) and the Gestapo (Geheime Staatspolizei), the regime's secret police. The purge strengthened and consolidated the support of the Reichswehr for Hitler. It also provided a legal grounding for the Nazi regime, as the German courts and cabinet quickly swept aside centuries of legal prohibition against extra-judicial killings to demonstrate their loyalty to the regime. Before its execution, its planners sometimes referred to it as "Hummingbird" (German: Kolibri), as that was the codeword used to set the execution squads in motion on the day of the purge. The codename for the operation appears to have been chosen arbitrarily. The phrase "Night of the Long Knives" in the German language predates the massacre itself, and it also refers generally to acts of vengeance. To this day, Germans still use the term "Röhm-Putsch" ("Röhm coup d’état") to describe the event, as that was the term the Nazi regime used at the time, despite its overall false implication that the murders were necessary to forestall a coup. To emphasize this, German authors often use quotation marks or write about the so-called Röhm-Putsch. After the initial rise to power of the Nazis, many of them, including the head of the SA Ernst Roehm, wanted to see a further change in the power structure of Germany by taking over control of big businesses and installing the SA as the main army of Germany with the existing army subordinate to it. 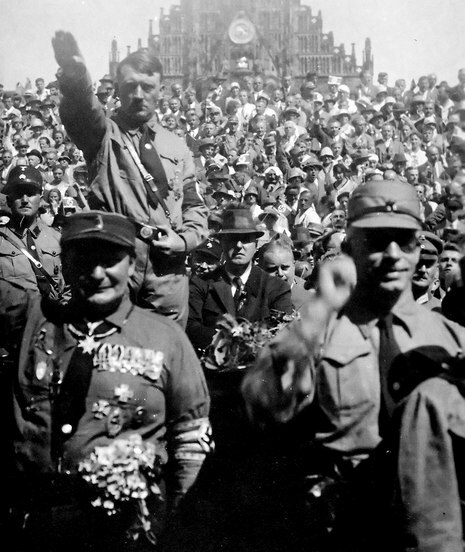 Hitler however thought differently and wanted to keep the German economy in good shape, reduce unemployment and enable him to quickly re-arm the Wehrmacht. To Hitler, the SA was purely a political force not a military one. 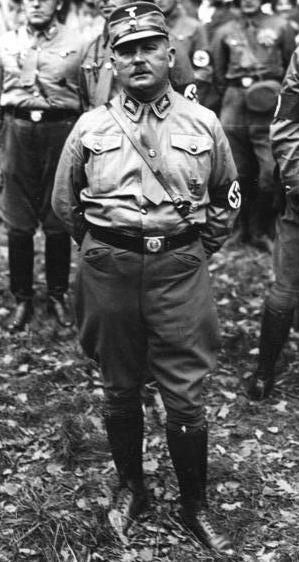 Also the ageing President Hindenburg would not survive much longer and Hitler needed the support of the Army if he was to be named as Hindenburg's successor. In May of 1934 Hitler proposed to the chiefs of the Army and the Navy that he would suppress the SA and at the same time expand the Army and Navy if they would support him as the successor to Hindenburg. The chiefs of the forces readily agreed to Hitler's endorsement. In June Hitler ordered the SA to go on leave for the entire month. 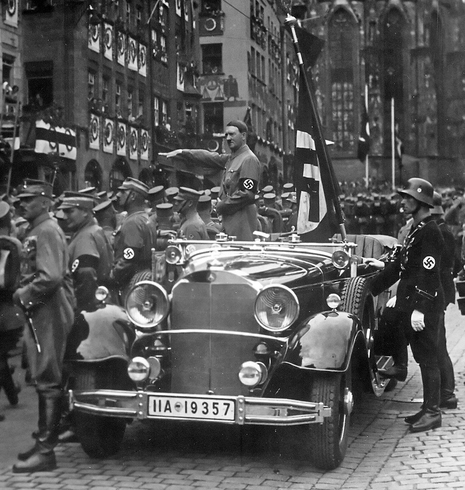 However, by that time the rowdiness and lawlessness perpetrated by Nazi thugs had grown to a point where President Hindenburg and his senior generals were considering declaring a state of marshal law and Hitler was threatened with this recourse if he didn't do something to curb these excesses. These threats, coupled with rumours generated by Himmler and Goering concerning Roehm's loyalty to the Fuehrer and an impending coup against Hitler, finally prompted Hitler to order Himmler and Goering to take action against the leaders of the SA. 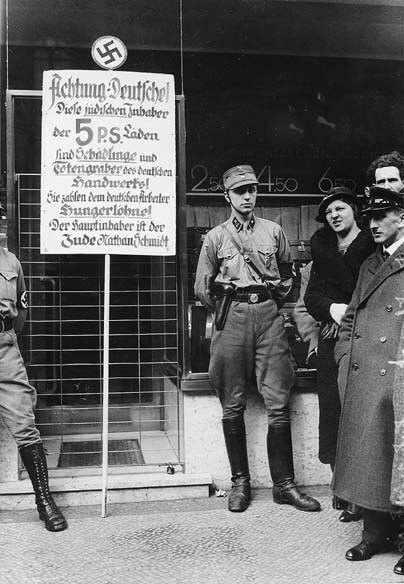 On June 30th 1934 Himmler's SS and Goering's special police arrested and executed the leaders of the SA, including Ernst Roehm, and many others not connected with the SA, but against whom the Nazi leaders had a score to settle. These others included General von Schleicher, the former Chancellor.